If fine men’s clothes have a spiritual home, it’s England. It was there that coarse country cloth was first tamed by exquisite urban cut, giving birth to the modern suit and inspiring a deep and abiding strain of Anglophilia among menswear aficionados. The ubiquitous Stars and Stripes of Memorial Day, however, usher in a sartorial season as distinctly American as grilled hot dogs. Anyone who’s ever forgotten to bring a sweater on a summer day in Blighty knows that our Special Relations are generally spared the sort of roasting, soaking, oath-inducing crucible that is high summer for the well-dressed American male. Savile Row has a long tradition of outfitting clients for equatorial elegance, but for most Americans, the imperial elan of the classic rumpled white linen suit has always been a hard sell -- at once too formal and too exhibitionist, and in any case a look more or less owned by Mark Twain, Tom Wolfe, and Colonel Sanders. With so few English cues to follow once the mercury starts rising, American dressers of yore embraced homegrown traditions in hot weather, indulging peculiarly bold tastes with cheeky confidence. 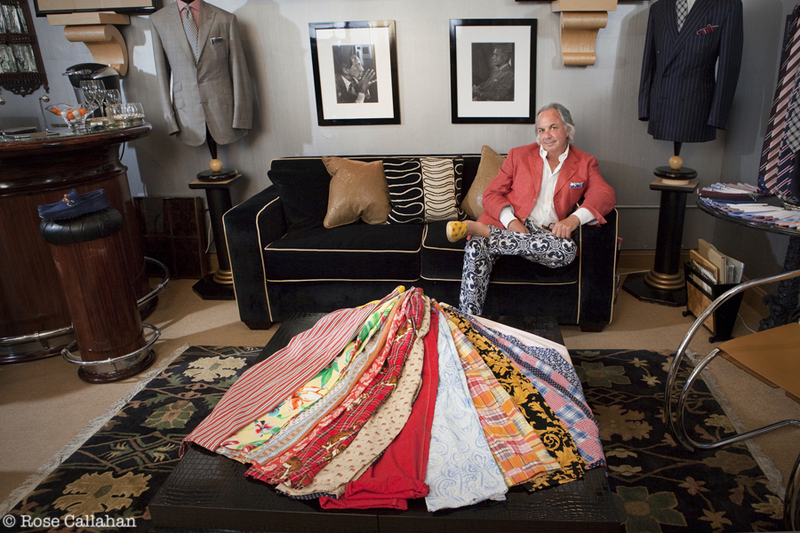 We may have the British Empire to thank for introducing us to Indian seersucker and madras, but both fabrics were popularized on this side of the pond to such an extent that they’ve come to embody a uniquely American vision of privileged play and accomplished leisure -- less country squire and more country club. Surplus chinos and salty Nantucket Reds, rolled at the beach or paired with a hopsack navy blazer in the office, impart the insouciance of minimally met dress codes. Faded pastel buttondowns, frayed belts of rope and ribbon, diligently dirty white bucks -- more than braces or chalkstripes, these scruffy totems of high birth and hard work are the real icons of American power dressing, for our ultimate aspiration has never really been elegance, but ease. What we might call the “WASP in heat” aesthetic has of course become a cliche in its own right; Ralph Lauren and his many imitators squeezed the last drop of insider subversion from it decades ago. Today, it’s best worn piecemeal, integrated with more contemporary and cosmopolitan elements like Mediterranean espadrilles, Italian terrycloth and knit linen shirts, and updated takes on classic American staples like a blazer rendered in featherweight wool and silk seersucker. But don’t be afraid to pull out the "go to hell" sartorial fireworks at your next backyard BBQ, because summer is the season to celebrate some of America’s greatest contributions to the classic menswear canon.